In December 1975, the Lutz family moved into their new home on suburban Long Island. George and Kathleen Lutz knew that, one year earlier, Ronald DeFeo had murdered his parents, brothers, and sisters in that house. But the property complete with boathouse and swimming pool and the price were too good to pass up. Twenty-eight days later, the entire Lutz family fled in terror. 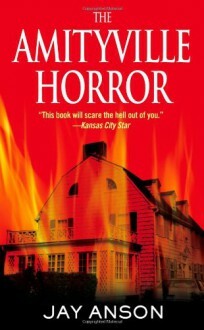 This is the spellbinding, best-selling true story that gripped the nation, the story of a house possessed by evil spirits, haunted by psychic phenomena almost too terrible to describe.